All servers of VPS Pro - vServer Series are paravirtualized Linux servers with full Admin/Root- access. "VPS Pro" vServer series are paravirtualized Linux rootservers with full Admin/Root- access and dedicated, guaranteed ressources. 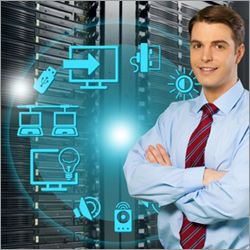 The servers are hosted on physical dedicated servers. The dedicated ressources of VPS Pro are not shared with other servers at the same hostsystem. Overview vServer Server Series "VPS pro"